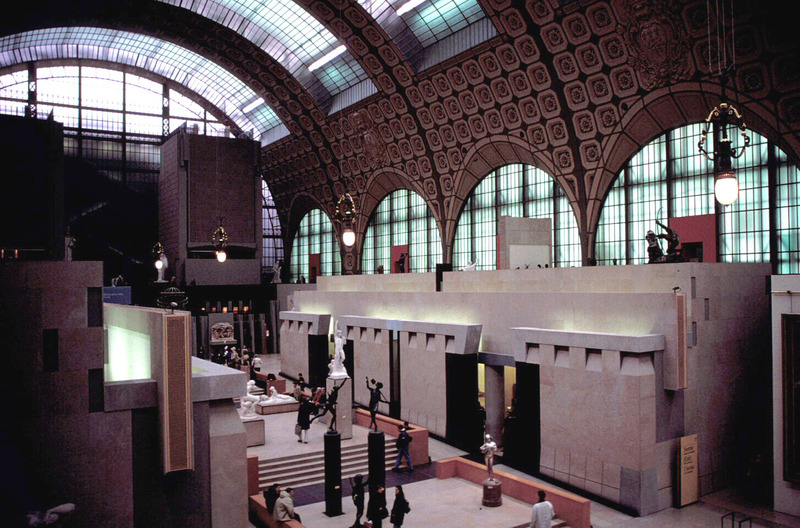 A turn of the century train station marked for destruction was transformed in the 1970s into a new museum with a vast collection of late 19th century and early 20th century art. 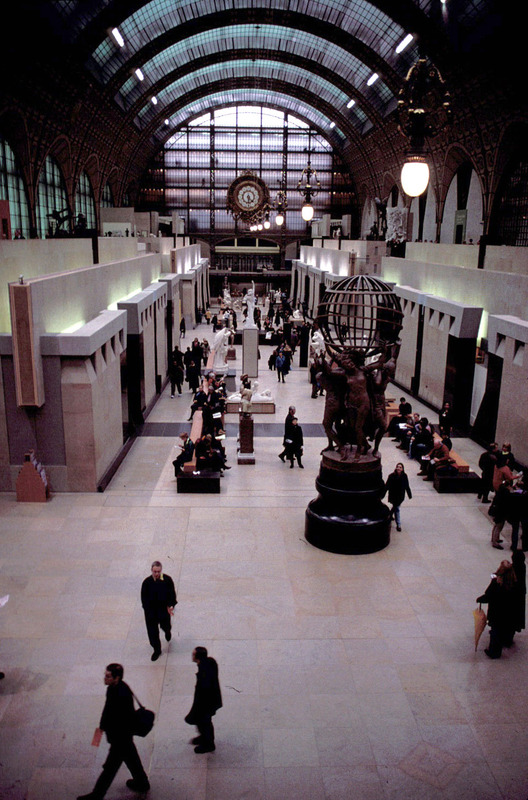 Musee D'Orsay is an example of an inspired reinterpretation of city resources and integration of the building's history and location. The train station's delicate steel arcade was renovated and numerous side landings and galleries house the museums works. 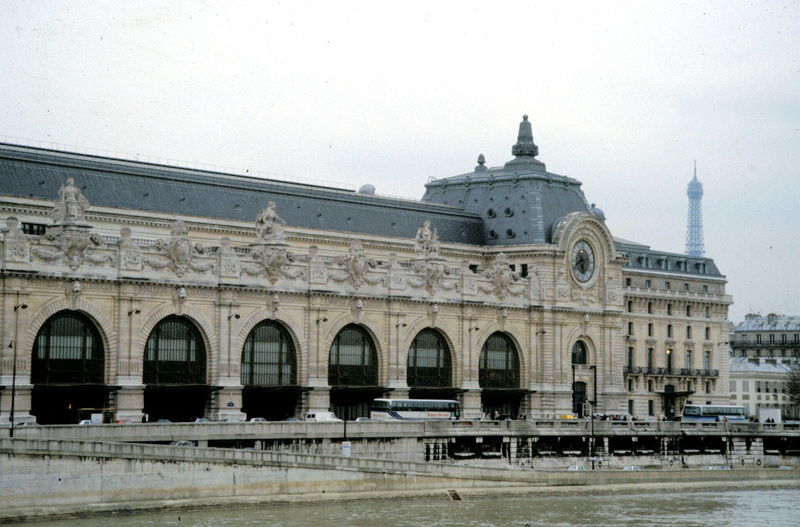 The station is located upon the site of the old Palais D'Orsay which was burned to the ground in 1871 during the Paris commune. 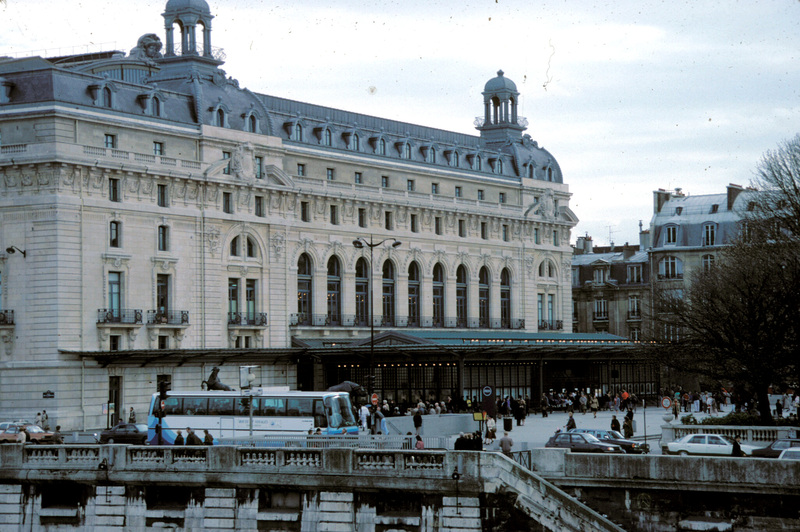 Designed in the Beaux-Arts style by architect, Victor Laloux, who had just completed the HÕâtel de Ville in Tours, the train staion and accompaning hotel opened upon the eve of the 1900 World's Fair. 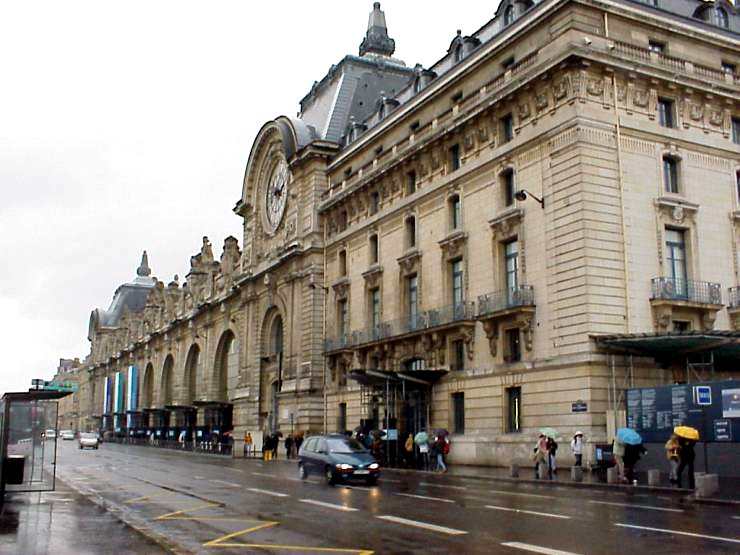 From 1900 to 1939, Orsay station was the head of the southwestern French railroad network. However, after 1939, the station was to serve only the suburbs, as its platforms had become too short for the longer more modern trains made possible by the progressive electrification of the railroads. After its closing the station/hotel served a variety of purposes, as the receiving center for returning prisoners of the second World War, as a theater and movie set (Orson Welles the Trial), and as an auction house. 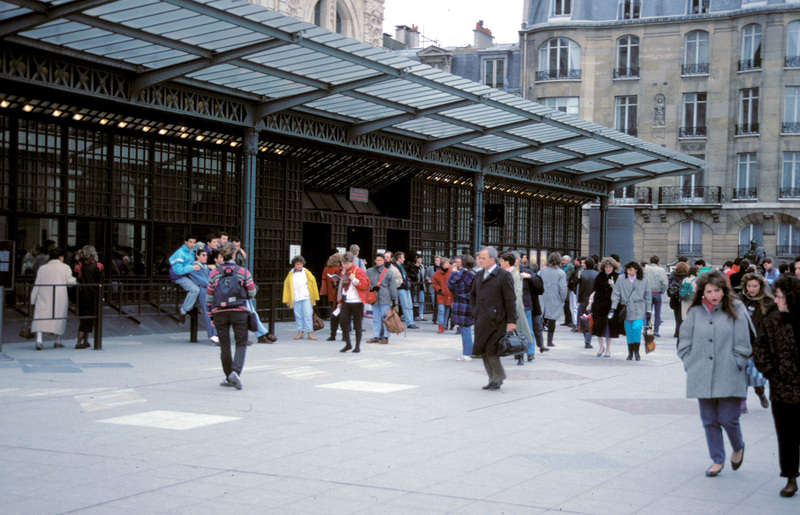 Threatened with demolition by the building of a new hotel complex, The train station was saved a year later by a public that was fueled by outrage over the recent destruction of Les Halles. The station became a landmarked building in 1978. 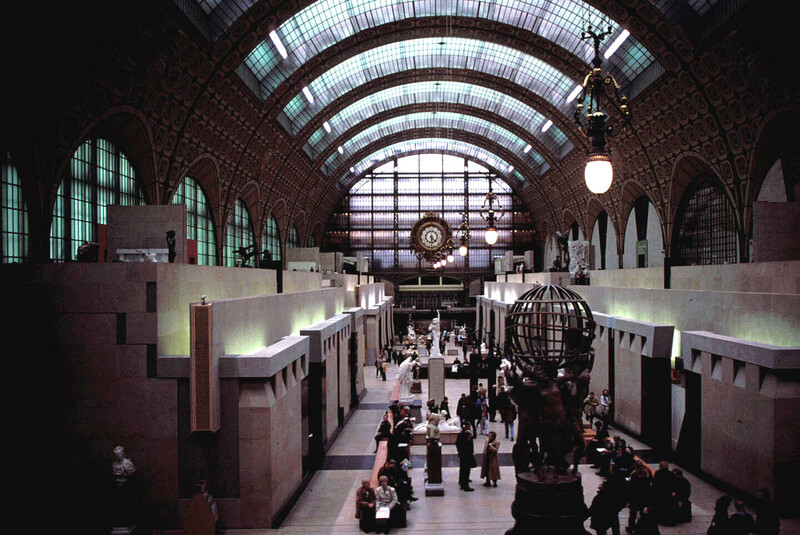 With a modern interpretation that respects its nineteenth century roots, the new Musee d'Orsay opened its doors in 1986.